The question of whether a home owner should stop making mortgage payments during a short sale is a popular topic for sure! There are a lot of myths floating around when it comes to successfully doing a Real Estate short sale. One of the more prominent untruths is the fact that you need to be in default with your lender in order to do a short sale. On numerous occasions both online and around the water cooler in the office, I have heard other Realtors telling their clients that they need to be behind in their mortgage payments in order to complete a short sale. This is flat out WRONG and could have negative consequences for the seller if they listen to that advice. One of the most difficult questions a client or customer can ask me is whether or not they should stop making mortgage payments. While I am well versed in short sales, a lawyer I am not and therefore should not be handing out legal advice. When I am asked this question more often than not I will have them speak with the lawyer I work with on all of my short sales. Although you do not need to be in default in order to do a short sale most lenders will act quicker on a file that is delinquent. It makes perfect sense. Why would a bank give priority to someone who is current on their loan? Some sellers just don’t have a choice, as financial hardship has forced them to put all their money towards essentials such a food and heat. Lenders may be less inclined to go after a seller if they are not making mortgage payments. It is obviously difficult to get blood out of a stone and some banks may not want to expend the energy chasing down a deficiency. There will be an impact to your credit score. Whether you go through a short sale or let the home go to foreclosure there will be an impact on your credit. Every circumstance is different but speaking in generalities your credit score could take a whack of around 200-300 points in a foreclosure. A short sale has the potential to be around the same, although I have seen in quite a few circumstances where the drop was closer to 150 -180 points. You will not be able to buy another home for two years. For a Fannie Mae backed loan you will more than likely not be able to get a loan for two years. End up in foreclosure. If you are not making payments during the short sale process and the bank rejects the sale you could end up losing the home to foreclosure. This obviously would be the case anyways if you did not have the ability to pay the mortgage. You more than likely will be able to get an FHA loan if you were not late on any of your mortgage payments. According to Fannie Mae guidelines issued in August of 2008, you are also supposed to be able to get a conventional loan if you do not have to pay back the lender the “short fall” and did not become delinquent during the short sale. While this is supposed to be the case most lenders say otherwise. Making your payments does help protect your credit to some extent although the lender can still report your short sale which will effect your FICO score. This is recognized as Credit Score Factor Code #22. If the home does not sell or the bank rejects the short sale you will still be current and not in jeopardy of losing the home. If you have not fallen behind in your mortgage payments it may make the whole process easier to cope with emotionally. There are many that get worked up from the fact that they are failing to payback an obligation they signed up for. For a complete understanding of the process from both a buyers and sellers perspective see Massachusetts Short Sales. A short sale is a great way to stop a Massachusetts foreclosure! Are you needing to short sale a home or condo in Ashland, Bellingham, Framingham, Franklin, Grafton, Holliston, Hopedale, Hopkinton, Medway, Mendon, Milford, Southboro, Westboro, Natick, Northboro, Northbridge, Whitinsville, Upton, Uxbridge, Shrewsbury, or Douglas? Get in touch I would love to interview for the chance to represent your best interests. About the author: The above Real Estate information on stop paying your mortgage during a short sale was provided by Bill Gassett, a Nationally recognized leader in his field. Bill can be reached via email at billgassett@remaxexec.com or by phone at 508-435-5356. Bill has helped people move in and out of many Metrowest towns for the last 24+ Years. You specify in your article that with “most” lenders the homeowner does not have to be delinquent but, unfortunately with all the homeowners that I have represented, the banks have basically said that they have to be delinquent in order for them to consider the short sale. You are absolutely right is the statement that it is not up to us to tell our clients to stop making payments. I always advice my clients to talk to the attorney and lender before making their decision. Thanks Maria! My experience has also been that lenders will absolutely be much more inclined to deal with someone when they are already in default. My point was that is not a necessity for some of the lenders. If a Realtor tells a client to stop making mortgage payments and that was not necessary, they may open themselves up to liability. I look forward to reading your future postings! You should always continue making your mortgage payment while you are in the process of a short sale. If the seller knows that you are 3 or 4 months behind in your payments, he might decide to wait for the foreclosure. This way he can get a better deal. Being in default on the mortgage could also affect the price that is set in a short sale. For example, if the lender is thinking of a price of $300,000 and you are behind $15,000, he might have to adjust the minimum price to $315,000. This new price point could very well exclude some qualified purchasers. Laura you are absolutely incorrect on both of your assumptions. 1st of all the majority of all lenders will not even discuss a short sale unless a seller is behind in their mortgage payments. I think you meant the buyer and not the seller but generally speaking most lenders are not going to foreclose if you are doing a short sale and a legitimate offer has been submitted to the lender. Lastly, your last statement about being $15,000 behind would cause the lender to seek $15,000 more is rarely the case either. The lender is trying to get as close to fair market value as possible while also avoiding an expensive foreclosure. That is the whole point a lender will consider one in the 1st place. I am not sure where you are getting your short sale information from but it is very inaccurate! As someone who just sold (and closed) on a short sale as a seller, I will tell you that my mortgage company (Citimortgage) really did not get moving on my short sale and assigning an analyst to work on it till I was about 3 months behind in my payments. Even at that point, the analyst assigned only collected information/documentation until the point in time that I had an offer. Ultimately for me, the foreclosure had been scheduled for June 2010, and our offer came in early May after I agressively started lowering the price. Ultimately, the mortgage company put a ‘hold’ on the foreclosure; approved the deal about 2 weeks after all the paperwork was received and we closed this week. In my case, it was simply a case of making the decision not to send good money after bad by keeping my mortgage up to date. I paid $290K three years ago for a lakefront home; put about $60-75K into it, and sold it for $250K. From what I’ve seen (E. Texas), the market still hasn’t bottomed out. John your short sale experience sounds similar to many. While it is not a certainty, most lenders will not work on a short sale unless the seller is behind in their payments. It is good to hear that your short sale was approved and you avoided foreclosure. Best of luck to you! Thank you for all of your postings and information on this website. Your insight is very helpful. I am in the process of selling my condo (in the Springfield, MA area) via a short sale as a result of a medical hardship. I have an offer, the potential buyers had an inspection which went fine, the mortgage company had an appraisal done 3 days ago and now I’m waiting to hear. I owe $205,000 and the offer that was submitted was for $143,000. I have just one mortgage (Fannie Mae). This mortgage is not with BoA; however, I have not paid my mortgage for 3 months and am concerned about my credit and FICO score. The sooner this gets completed, the sooner I can begin to rebuild my credit and my life. I know you’re not a mind reader; however, given your experience, what are the usual next steps in a foreclosure proceeding and is a difference of more than $60,000 usually accepted by the mortgage company? Waiting and wondering is an extremely difficult thing, as you can well imagine. Thanks. Hi Dee – Sorry to hear about your situation. Whether or not this ends up working as a short sale or not will more than likely depend on whether the accepted sale price of $143,000 is near the fair market value. The difference of what you originally paid for the condo is less important. 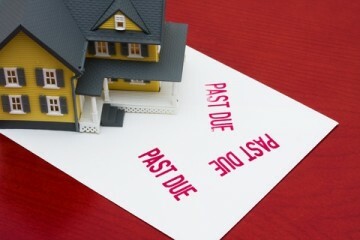 The fact your have not paid your mortgage and are doing a short sale will impact your credit. You will probably be looking at a ball park of 150 point drop in your credit score. Best of luck to you with your short sale! Your information is very helpful. Thank you. I have a situation in a home I lived in in an Atlanta suburb and could not sell when I moved. I have been renting it for almost 7 yrs and always take a loss, including a 9 month period where I had no renter and had that mortgage and my own. I was just informed that the current renter cannot pay this month and is leaving. I live out of state so we went to view the home over the weekend and it is trashed. It needs a lot of work that will put us above what we could sell for. I need to stop the bleed. I have a primary mortgage and HELOC through 2 different banks. I am current but don’t want to waste money if I’m going to lose the house and not make anything back. I’ve met with a couple of agents and have discussed short sale options to avoid foreclosure. I don’t know if I should call the lenders and discuss my situation now, if I should pay the mortgage this month, or what to do. I am currently renting, so I would like to know I can purchase another home before 5-7 years (in the event of foreclosure). Any advice? Hello frustrated landlord ~ I am sorry to hear about your situation. In a short sale you will not be able to purchase another home with conventional financing for 2 years. In a foreclosure it will be five years. The agents that you are interviewing should be able to offer advice on your short sale. Make sure you use an agent that has short sale experience…this is critical. You should make sure they are closing short sales!! Thank your for this great website. I lost my job, then my unemployment ran out. I am now living off my savings. I stopped paying my mortgage 3 months ago and requested a short sale package from the lender which requiers financial statements. Can the shortsale be denied and/or can they hold me responsible for the shortfall (if approved) because I have some savings which I am now surviving off of until I find employment again? Hi MsJ – Yes it is always a possibility that your short sale could not get approved. It is very important that you have good representation when doing a short sale. I would suggest that you have both a lawyer and a Realtor that are well versed regarding these kind of transactions. You could be held responsible for the short fall. Again this is where proper negotiations can go a long way in helping you get out of this situation with the least possible future headaches. This is not something you should try to do on your own. Thank you for your great advice. I have just started to short sale my home which was purchased five years ago by my deceased husband. After his death i assumed the mortgage. Currently, my credit score is quite low due to my dept to income ratio. The house is way more expensive than I would ever qualify for on my own. I have struggled to hang on to it for my family, but I too need to stop the bleeding. Do you think that since my dept to income ratio will improve dramatically that perhaps it will not effect my FICO so negatively. S.S you FICO score is going to take a hit regardless of your debt to income ratio. You can expect somewhere in the ball park of 150-200 point decline in your score. Good luck with your short sale! Bill, I enjoy reading all the articles on your blog. They provide extremely helpful information for consumers and if I were buying or selling a home in MA, you would be the first and only person I would call. Dan thanks for the compliments on my article about making mortgage payments during a short sale. Your thoughts are much appreciated! Bill, great website! I’m a Realtor in Bend, OR and one of the most common questions I hear is about missing payments. We just tried to get a short sale approved with IndyMac while the borrower/seller was current. Indy said they would approve a short sale if the borrower is current so we gave it a shot. We submitted an offer and I called IndyMac for a status report. I was told that the investor, Fannie Mae, will not initiate or consider a short sale until the borrower is at least 30 days delinquent. This is really frustrating since most loans are backed by Fannie or Freddie. In fact, if you read the HAFA guidelines from Freddie Mac, they require the borrower to be 60 days delinquent to be eligible for a HAFA short sale. I wish there was another way. Cheri – One of the things that lenders train all their staff to do when someone inquires about a short sale is to tell them to continue to pay their mortgage. It is a shame that they can’t just be truthful about the situation. Adam this is advice that you would want to get from a qualified attorney that understands short sales. You are going to need to find out if your lender will allow you to complete a short sale while remaining current on your mortgage. Many lenders do not and will want to see that you are delinquent. Thank you for the info. My Realtor has a legal team he pays to deals with the bank when we submit an offer. I guess I have to ask for more details. Wow! Thanks for the info. I have been trying to get a loan modification after my divorce but was denied by the homeowner’s plan and BofA gave me an in house modification, but their proposal was $70 a month off my current payment and wanted to add $10,000 to the current principle balance. I opted not to do that as it really wasn’t much relief to me. I’m now looking into a short sale. My payments are current as of now. How bad will my score be effected and can I purchase a home in the future? I’ve gotten the run around from BofA through this whole modification process and am not looking forward to having to work with them again on a short sale. Just wast to explore my options. Really hard to swing the monthly payments. Is there an agent that can help me with this that you know of? Thanks! Hi Cheri – Sorry to hear about your situation. The credit impact of a short sale can vary from person to person. 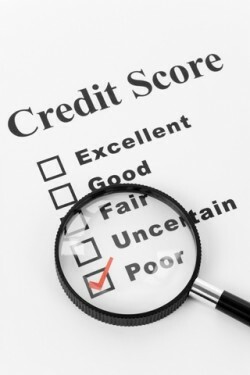 More than likely you can expect to see your credit score drop from 125-200 points. You will not be able to get a conventional loan and make a home purchase for around two years. The short sale is a better alternative to foreclosure as your credit score will most likely drop by a greater amount but more importantly you would not be able to purchase another home for 5-7 years. If you want to provide me with where you live I can provide you with a referral to someone who works with short sales. Hi, I purchased 7 homes 5-7yrs ago, thinking it would be a great investment. Obviously I was wrong. We have been through hell finding decent renters and it is just stressing out my wife and I. I am working 2 full time jobs and my wife is working. With rent going down, fix up costs and non-payments, we have lost close to 20k this year already. Our savings are all used up and we are now trying to decide what to do. My initial thought was to simply short sale them one at a time as the renters move or stop paying, until it is managable, taking the tax hit (though I think we can prove insolvency, plus I have years of roll over tax credits) and the credit score hit. I am not late on any payments, YET…. But I now wonder if it would be best just to do them all at the same time and just get it over with, instead of dragging it out over 5-6yrs. Have you dealt with many people in my situation? any advise? Hi Scott – I am really sorry to hear about your situation. With multiple properties your short sale dilemma is a little different than most. My initial thought would be that it would probably make sense to do them all at once so that your credit ratings are not dragged down for a longer period of time. Your situation however, would be better answered by a competent accountant/attorney who is intimately familiar with your finances. Hello, my mortgage company is making me do a short sale. My home has been listed to sell almost 30 days, I am also 3 months behind. I can not get approved for a modification, special forbearance, no help at all. How long do you have to sell your home in a short sale? Hi Michele – Sorry to hear about your financial situation. How long you have to sell your home in a short sale in completely up to your lender. You want to make sure that whoever is representing you in the short sale whether it is a Realtor or attorney notifies the lender. Most of the time the lender will give you a decent amount of time to complete the short sale. Getting an offer will really help so you want to make sure the home is priced properly and does not sit on the market for an extended period of time. Best of luck to you! I have a situation where I believe Chapter 7 bankruptcy is the answer, but I’m doing my best to avoid it. I’m afraid the tax repercussions of a short sale or a foreclosure would sink us. Should we even be considering a short sale? The Situation: We own a house that we bought12 years ago for $137k, we now owe $330k due to refinancing (Which was only 90% of value two years ago) to pay for many things including medical bills, but probably less than $15k in home improvement during the past 5 years (more earlier on). Many comparable homes in our area are trying (unsuccessfully) to sell for $160-170k. We have about 70k in unsecured debt as well. We are still current, but just barely. We have a great employment opportunity in another state and we just have to move, we will need cash for moving expenses and I fear every cent I pay on this house is totally wasted. If you were in my situation, would you be making payments or even considering attempting a short sale when your home value might only be half of the debt? Steve I am sorry to hear about your situation. A short sale is going to be better for you from a credit perspective than a foreclosure would. Beyond that it is hard for me to give you advice on your situation. I would certainly recommend speaking with both a qualified attorney and accountant who are well versed in short sale transactions. I would think a short sale would be better than a foreclosure. I would certainly attempt a short sale if it makes sense. The fact that the value is only half the debt should not matter. Bill, shame on you. A short sale is no better on your credit than a foreclosure and that you would counsel people otherwise ought to be grounds for an ethics hearing. FICO treats a foreclosure and a short sale exactly the same. Ethics hearing? If you look online and talk to any number of credit counselors they will tell you that both a short sale and foreclosure are terrible for your credit. In many circumstances however, the damages are less severe in a short sale. Much of this depends on how the lender reports it to the credit bureaus. The real damage comes from the fact that the borrower misses payments not the act of doing a “short sale”. The time your credit can be repaired, as well as when you can purchase again, is certainly less in a short sale. I have personally seen a few people who have done short sales see their credit effected much less than what is publicized and expected. I have read through all your comments here; however, I am also experiencing financial hardship due to my recent divorce (7 months now) and not receiving any child support because my ex-husband lost his job back in June. I purchased my home 5 years ago in Aurora, Illinois and we would have been able to afford the house with my then husband and both our incomes. My current situation is that I am able to afford my mortgage payments but not my property taxes that I pay on my own ($8,000 a year, suburbs taxes are extremely high). As the only one working and trying to make ends meet with all my credit debts, house expenses, personal expenses and not to mention both my daughter’s expenses and my oldest daughter high school graduation expenses, its been extremely difficult for me to pay it all on my own. I would have been able to pay my property taxes if I would have continued to receive child support, but I just can’t at this time. My property taxes are due next month and I just don’t have the money. I spoke with my realtors yesterday (mind you that I have been trying to sell my house for the past 4 years and have been unsuccessful) and an attorney who’s specialty is dealing with “short-sales”. Our discussion and my desicion is that beginning next month in October, I will stop my mortgage payments and start the short sale the beginning of next year so that i can leave the property by the time my daughter graduates from high school. My down payment on the house was $125,000 and bought it for $280,000 and is currently listed at $249,000 and the balance owed on my house is around $184,000. Since i had put so much money down, my realtors tried to bring the price down significantly so I won’t ruin my credit, but the market is so bad and haven’t found a buyer. In your opinion, me stopping my mortgage payments in October, will that be enough time to fall behind so the bank entertain my request for the short sale or should I wait closer to spring next year? All I want is to wait until my oldest graduates high school so we can rent closer to Chicago where it would be more affordable for me. Yazz as soon as you are not making mortgage payments it would make sense to pursue the short sale. You do not want to get yourself into a position where the bank will start foreclosure proceedings. You mention that your home is listed for 249,000 but you only owe $184,000. At this point you are not in short sale territory. Why would you not just reduce the price further to potentially avoid the short sale? This is what I would do because you are correct in that the short sale will have a large impact on your credit. thank you for your response; however, that’s the lowest my realtor can bring the price down since there are other amounts that need to be paid including approximately $12,000 in taxes that would be coming out of the money I invested on the house and not to mention all the other closing costs and real estate agent fee. So we went through the figures about 3 times and this is the lowest we can go because I do not want to bring any money to closing. So I want to proceed with the short sale because at least by the time i get out of the house, I should have at least $10,000 and I can use that money to start over with my daughters elsewhere. Ill be walking out with more money even if it will ruin my credit for a short time. And its really the property taxes that I can’t pay and sooner or later I would have to let go of the house anyway. I just want to make sure that I don’t stop making my payments sooner than I should because I want to start the short sale by next spring. Thanks for the clarification Yazz. I did not realize that you had unpaid taxes and other debts as well. Best of luck with your short sale! Due to the economy I have taken a 35% pay cut, and can no longer afford my house. I tried a loan mod but the bank would not do anything so listed the house for short sale in Feb. Had a good offer in June, and the first mortgage has been reviewing since then. On Monday I received a notice of sale and also a notice of approval for the short sale. The notice of sale is dated 2 days earlier than the short sale approval letter. When I called regarding the notice of sale to see if the sale date had been cancelled or postponed they said it had, but refused to give me anything in writing. The notice of sale date is 10/4, but the the short sale approval letter says that escrow must close by 10/14. Can they still foreclose on 10/4 if the short sale approval letter was sent after the notice of sale and gives it until 10/14 to close? Since they won’t give me anything in writing postponing the sale date, I am nervous that the foreclosure will happen regardless of the short sale. My attorney previously told me that if I get a notice of sale, I should file Chapter 7 immediately to protect myself from the 2nd mortgage if the house forecloses. He said I am on the borderline and may not qualify for Chaper 7 without the house. I have a second mortgage that is substantial and I can’t afford to pay it back and pay rent somewhere else too. I don’t want to file bankruptcy unless I have to, but am not sure what to do at this point. Hi Christina – The 1st question that comes to mind is whether or not your attorney knows what he or she is doing? Do they have experience with short sales? Your attorney should be in touch with the lender and be making sure that the auction date is postponed. You are able to see that this being done by looking online with whoever is handling the auction. What you are describing is quite common as the short sale department within the bank often times is not in contact with the foreclosure department. I don’t understand what is going on in your transaction because your attorney or whoever is handling the short sale for you should be getting the approval from the 2nd mortgage holder as well as the 1st. When you have two loans on a property you need short sale approval from both lenders in order to close. Whoever is handling the short sale should be negotiating with both lenders!!! I ran across your blog here recently and honestly it is full of wondeful information both from you and the comments of your other readers. I thank you. The question or advice I am asking you is this. My wife recently filed a chapter 7. It wasnt an ideal situation but with the economy that past few years, my 100% commission job took a hit. When we filed we had every intention of keeping the house but we never signed a reaffirmation letter. I found out the other day that I am got a new job and we are going to have to move. So i contacted our lender and came to find out that our mortgage has been discharged and all liability for the home has been removed from us. We have been making payments and not getting credit but recently we missed one because of lack of funds. Due to the market in our area if we did a normal sale we would lose $15,000 to $20,000 in an ideal sale. We are considering a short sale or possibly just letting a foreclosure happen since we have already filed and took the hit on our credit that way. From what I understand they cant do anything to us anymore. What would you do in this situation? Thank you for your input! Andrew – The situation you describe is very interesting. My advice would be to speak with the attorney who did the bankruptcy for you. I am not sure how that impacts whether or not it makes a difference to do a short sale or let it go to foreclosure. I owe 290 on a 305k mortage; single lender 100% @ 6.5%. Houses all around me are short selling for around half what they paid, so im guessing my house is worth 180k at most. I am current on the mortgage, earn decent money but have other debt like credit cards and cars. My father was recently diagnosed with illness and I want to sell, leave the USA and return home to care for him. Will my lender even talk to me given I earn enough to pay my mortgage and have never missed a payment. Don it really depends on your lender whether they will allow you to short sale your home or not. The answer could be yes or no. Since you have the ability to pay the mortgage you would be doing what is referred to as a strategic short sale. Lenders used to say no to this going back a few years ago. Now many of the lenders will consider it if it makes financial sense for them to do so. The fact that you are leaving the country could help. You will more than likely need to stop paying the mortgage if the loan is with a large national lender like Bank of America or Citi Mortgage. I would recommend before you consider a short sale to speak with an attorney who is knowledgeable on the subject. Thanks; my servicer is mass housing, fannie mae own the loan. If you stop paying when you can make payments is that considered fraud? guess thats why I need to speak to someone… its just complicated on where to turn for help. No that is not considered Fraud Don. That would just be defaulting on your loan. Are you located in Massachusetts? Feel free to give me a call if you would like to discuss your situation. Your blog is very informative. I have a question. I own an investment property that I have been renting for the past 6 years. The rent pays for the mortgage, insurance and utilities, leaving me with no out of pocket expenses. I owe $239,000 on a house that originally cost me $289,000 + $40,000 that I put in it. However, since I already put in $40,000 with the going market rate it would take me years to recoup my investment. At this point, I just want to walk away and keep my sanity. 1) I do have a primary residence, so is there any way to get around paying taxes on a short sale? Also, would the bank come after my other assets, income etc? 2) With my current income and tenants, I can afford to keep up with the mortgage. Would the bank decline my short sale offer and force me to keep the place and continue renting it? 3) While going through the short sale process, I am planning on stopping the mortgage payments to at least recoup some of my investment back and motivate the bank to consider a short sale. However, do I/should I pay town taxes and home insurance which are not escrowed? Would the bank take over these liabilities in a short sale? If not, would I be able to even sell the house with taxes owed on it? Thanks for the compliments on my short sale article Cynthia. With a short sale there is no guarantee that they will approve it or not. If the short sale is in the best interests of the investor then they will consider it. In order not to pay taxes you would have to show that you are insolvent which does not sound like the case. The bank does not force you to keep your place. You could always let it go to foreclosure. That kind of decision is one you would want to think over carefully as your credit would be impacted for years. if you do pursue the short sale you would want to continue to pay taxes and insurance on your home. I would suggest you speak with a competent attorney who handles short sales in your area. What about mortgage insurance. If you have PMI on your loan will a lender just not consider a SS. They get the difference in a foreclosure and lose nothing with PMI being paid, right? Russell if there is PMI on the loan that also has to get short sale approval as well. Getting short sale approval from a MI company is not usually a problem. We are facing this same situation on our home in Washington. We had to move to Oregon for my wife’s work, and I had been laid off. Rented out our WA house at a huge loss (on the payment alone – never mind affording proper maintenance, etc) for the last 15 months, but those folks are moving out and we need to stop the bleeding. Without renters making the payment is impossible and we will soon be delinquent and unable to maintain the house from out of state. We have listed with a local realtor versed in short sales. This blog and the subsequent comments are about the most honest dialogue I have read online about this process. Thank you! Robert best of luck with your short sale. I am sorry to hear about your financial situation. It is good to hear you are using a Realtor that knows there way around short sales! There anre many sellers that do not realize you can’t just hire any Real Estate agent and expect success. US Bank told a seller client I just listed that a short sale would not be considered unless they were at least 30 days late. I am under the impression this is true as well, otherwise why would a bank entertain a short sale if they are getting paid? I’m guessing you are differentiating between 30/60 days late versus being in default/having rec’d NOD usually which usually happens being 90/120 days late/no payments? Bart most of the major lending institutions require you to be in default with your mortgage payments before they will consider a short sale. There are however, some smaller lenders that do not have this requirement. It is important to find out this information up front because there is no turning back as far as a seller’s credit goes once they start missing mortgage payments. The last thing you want to do as a Realtor is give out legal advice on whether someone should pay their mortgage or not. Are there any exceptions or limitations on who can participate in a person’s short sale arrangement. Can family members? Could a Mom or Dad buy their child’s home in a short sale arrangement with the bank waiving any deficiency judgement? 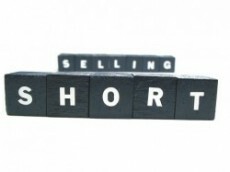 Nice article on short sales. Thanks for the compliments on my short sale article Perry. Unfortunately the answer most of the time is no you can not. The banks want to see an “arms length” transaction so they know that there is no fraud involved. Is it possible you could get a waiver from the lender…yes it is. You would have to let them know if they would allow you to do it upfront. My husband lost his job and do the prospects of getting a new job where we live being very low we decided to short sale our home. I can tell you that FHA will not allow a short sale to go through with out you being in default. Great article! Glad I found it. I am currently approved for a shorts sale, and I have a buyer. We were originally required to close by March 10, but that’s been pushed back to the 23rd. So now I am several months behind on my mortgage payments, but I can’t afford to pay back the payments. Will the bank foreclose on the house before the 23rd? Hi Eleanor thanks for your compliments on my short sale article. If your short sale has been approved by the lender you should not have to worry about foreclosure. Was a foreclosure notice sent to you? If so, you want to make sure the right hand knows what the left is doing. Often times departments within the lender do not speak with one another or the bank wants to protect themselves and will keep a foreclosure date active. If you have an attorney working for you they should be making sure the foreclosure date is postponed if it is before the 23rd. Anonymous you could buy the short sale as long as you intend to occupy the property and are not thinking of involving the current owners in some way. The lender does not want the current owner of the property to profit in any way. Information here is great. Question though about recourse and non-recourse states and loans. If a house goes to short sale, and the borrower moves to another state than the one that the property is in. Do the recourse laws for the new state they live in apply to the property or the laws for the for the state that the property exists in? I got to believe it is the latter meaning the laws apply to where the property is located. Thanks Mark. The law would apply to the state the property is located in. I am currently in the process of a Michigan short sale with two lein holders. My house is valued at 29% of what I paid in 2003. I am currently going through a divorce and was “stuck” with the house. I started the SS process in early April. I am using someone experienced in short sale who knew all the paperwork I needed to submit. I was lucky to have an offer immediatly so she submitted everything together. I was just notified by CitiMortgage that they have everything and are in the final stages of review. I managed to be current on my payments until this Month. Today I am officially 30 days late. I finally scraped enough money to pay it before the 30 days late, but found out my payment was due on the 1st and not the 6th like I thought. (didn’t know about grace period for payment). anyways, I am wondering the difference between late payments vs. short sale vs. foreclosure on my credit report. Can they nail you for a short sale and then nail you for the late payments that happened during the process? If I end up being more then 90 days late, is it “pre-foreclosure” and if so, what does that mean to my credit? Is pre-foreclosure on my report for 7 years and makes it difficult to buy a new home in 4 years? If I am 90/120 days late by the time the 2nd lein holder approves or denies the sale, what is the purpore or benifit for me to short sale if it is considered “pre-foreclosure”? In other words, when you go through a short sale and you default over a certain amount of time…what is the difference then between the short sale hit and the foeclosure hit? I am extremely confused. Thanks in advanced for your help. Setup to a Question: When a homeowner cleans out his or her retirement,kids college fund and anything else they can get their hands on to pay their mortgage and STILL has to Sell Short…and the Bank won’t agree to the Short Sale “because the borrower is NOT behind on their payments” How is that Right? Their income decreased intensely during late 2007 & 2008 (quick! who’s didn’t?) and they used everything they could get their hands on to pay the mortgage to keep from going behind on their payments in order to preserve their credit. Now their retirement/savings is GONE! The homeowner is in their early 50’s and when they are a young senior citizen 12-15 years from now and Social Security & Medicare is a thing of the past – how will things look then? Millions of people in their early 50’s (including me) are in this position and doing exactly what I am speaking of here. Think about all of us with no retirement, social security or medicare 15 years from now…these ramifications are being put into motion by the banks (all of them and you can find the list of the top 15 offenders on the FHA’s latest list for a start but their is plenty more) forcing homeowners to go behind in their payments and ruin their credit and what is left of their dignity will result in alot more then these bank ever thought of! (Big Surprise) And how about ALL of those kids in this next generation that are not going to college…does our country have a chance of being smarter rulers? Not bloody likely. Let Your Voice Be HEARD People…I’m taking this as far as I can and hope you’ll chime in and tell me your story. Don’t be afraid – tell it – your actual future and that of your children DEPEND ON IT! I’ll be sending around a petition next week. My name is Ellen Carter, I am a Realtor & Senior Short Sale Negotiator…and yes folk…This is just the beginning from Ellen’s House. click onto my website landing page and fill in the branch! Ellen you are right that the rules in place regarding short sales do not always make a lot of sense. To force a borrower to miss payments is certainly one of them. You have some very valid points of what all this does to our economy and Real Estate markets around the country. Julio I would not take any chances with this and make your mortgage payment as soon as possible. This is an awesome blog — thank you. I am a Realtor from New Mexico and looking for information for clients. You are thorough and show a great deal of integrity in your information. Pamela thank you very much for the compliments on the my Massachusetts Real Estate Blog. I try to give my best especially when it comes to short sales as they are a real passion of mine. I am anew homeowner; this is my first house. 40 year loan which will balloon in 4 more years. I have to work a second job to make ends meet and a raise from my Masters got hijacked by this crazy governor. I want to keep my home if I can. I m attached to it. I have a lawyer and a realtor. I told them lets do a short sale to get the financial burden off my back, but am seriously wondering if BOA will work on modifying/refinancing with me. I hear they might. What should I tell the gentlemen who are helping me? Am I nuts to be this hopeful? Rebecca it is possible you may be able to get a modification but not probably. Tons of people apply and do not get the modification. Many of my clients have tried to get loan mods and can’t. They are left with no choice but to short sale their property. I have a rental in Arizona the rent pays for the mortgage and other costs like insurance and property tax. I bought the house for 260k had 60k down payment and the property worth 120k now. However, at the end of the lease I have to spend lots on money to fix it that takes a month to do w/o getting rent money. I have to also pay for my travel and hotel and other expenses. Can I do a short sale on this property and what I need to do. I have a very good credit score and never missed a payment to WFB. Please advise what to do? Hoosh it would be impossible for me to know given what you have told me if you qualify for a short sale or if the lender would approve the same. Most of the time, but not always there needs to be some kind of hardship on your part. I have an easy but a hard question. I really don’t want to do a short sale but feel that it is the only option my family and i are going to run in to. We bought a house back at the peak of the market for 85k. Had the house inspected and checked out ok. Said roof is great has 20yrs left or so. Good electrical. great water pressure. Yada yada. You understand the rest. After 4 years into the house I notice water coming into our bathroom. End up going up to the attic. Come to find out that when the roof was put on they put the wrong size sleeve around one of those pvc pipes that come out of the roof. Has a small amount of light coming in around the pipe and sleeve. This was our first home. The problem is that by the time I noticed the problem it has had about 5-7yrs of contamination and water damage. We have now been in the house for about 6 years and paying bi weekly payments. I have been working on trying to seal off the leak to stop it from coming in however it was so bad by the time I noticed that joists are rooting and wood from roof below shingles is gone and rooting in about a 3 ft square spot. Which means roof repair. And the ceiling in 2 rooms need to get redone do to water damage from standing water on top of the drywall. I cant go back on inspector or anyone because it has been to long. But the amount of money to pour into the house to fix it would be way more than the value of the house. I still owe 72k on it. And with the market the way it is If i did the improvements to the house that is needed to make it better and sell it would only gain me a couple grand in the selling price if not any. We want to move because I now have a 1 year old daughter and this house is not the best place for her. That doesn’t even count all the windows that are only 8 years old and are all bad do to the house settling. The house was moved to the spot it is at currently. They put new windows in right after it was moved. Any ideas? Hi Chris sorry to hear about your issue. I am not really sure what you are asking me in regards to a short sale? I have a question for you my husband passed away last May I have keep our mortgage payment current, but money is running low. My husbands name was the only one on the home loan, I am thinking of doing a short sale can I? At this rate I won’t be able to make the payment much longer. Hi Brenda – I assume that you are now the legal owner of the property since your husbands passing. Assuming this is true I don’t see why you wouldn’t be able to do a short sale but I would consult with an attorney. I have a question regarding early possession during a short sale. My situation is this: the owners are gone and their property is being sold as a short sale. We have been through the process of all the paperwork and approvals and now are just waiting for USDA to approve. We asked for early possession until it closes. Our realtor drafted a contract and submitted our request asking to move in prior to closing which has been given an estimated date of Feb 27. The seller countered our offer and requested $30 a day. Granted this house is being sold ‘as is”. At first we were annoyed at this request considering we had to have the utilities put in our name prior to the inspection process and now instead of having the house re-winterized we have left the utilities in our name. After the inspection there were multiple repairs noted. Some were general safety issues and another a code violation. None of these issues we asked to have repaired due to knowing the sellers position with it being a short sale for sale as is. I wasn’t aware a seller could request rent during a short sale. What do you recommend? Chris – the seller can do whatever they wish as they still own the home. The lender however, would more than likely have a problem with the seller collecting rent. Of course the lender is not going to know this and it would not be in your best interest to create waves. I am the executrix of my sister’s estate. I have informed the mortgage company that the estate is unable to continue the purchase of the house by paying the mortgage. I intend to send them one final payment as the estate have no more funds. What is my next step in this situation? Dorothy assuming that the estate wants to short sale the property you are going to want to work with a qualified short sale Realtor. If you need help with this email me and I can put you in touch with a good agent in your area. Hi Bill, Thanks for the article, it is very informative! My family is going to attempt a short sale, but we were planning on living in it while we’re doing that, for up to 3 months, then if it does not sell we are planning on just foreclosing on it. But we are planning on paying for it the entire time it is up for short sale as long as that is a route we can take. My question is how long does it take for the lender to report it to the credit agency? My concern is it will affect us renting another home if we do not move out immediately after starting short sale process. Thanks for any advice you have! Amanda you will be fine as long as you continue to make payments. The credit reporting will not change until after the short sale is completed and if you make payments your credit score will not be effected that much. Hi Bill. Thank you for the helpful information. We have been trying to short sell our house since December. We’ve had an offer since December and have been waiting for the notice on the short sale. Because of wanting to get a house in under 3 years and not wanting to completely ruin our credit, we have kept making our the mortgage payments. I just talked with our lender, Wells Fargo Home Mortgage, and they informed me that our private investor will not even consider the short sale until we are at least 31 days past due on payment. Since my husband’s job required us to move, we are no longer in the house. We have no choice but to sell. Are there no other options? Can a lender require such a thing? I really feel like they are putting us in a horrible position. I know we can’t qualify for an FHA loan with default payments, but do you think we’ll be able to get some other kind of loan? We have good credit now, but who knows what it will look like in the end. Shelly this is the perfect example of the ludicrous thinking that goes on with some lenders/investors. It is completely ridiculous that most lenders will force a buyer to be delinquent but this is what most of them do. The lender can do whatever they want to do. They don’t have to grant a short sale unless they want to. I do not think you will be able to get a “standard” loan from a regular lender if you are in default with a short sale. I just found this article and it has addressed many of my concerns with a short sale. My house is currently up for short sale. This month is the first month we have not paid our mortgage. My question is this, we have a first mortgage through one bank and a second (it is a Line of Credit with the house as collateral) through a different bank. The market has definitely reduced the value of our house. Our assessed value is now 305,000 (down from 359,000) but the short sale price is 199,00 as we have not been able to sell the house for two years through normal channels at an already reduced price. The bank that we have the second mortgage through has left a message about not making our LOC payment already (it’s only late a few days as of right now). Should we call them back and let them know our financial situation and that our house is up for short sale? I don’t want them to think I am deliberately not paying. We can’t afford the payments anymore as I was laid off work and my husband was on workers comp which has now run out and he is on extended leave of absence without benefits. We are putting all our money into renting in an area that has job potential. We live in a very rural area 45 minutes from a larger city. It’s the only way we will survive. We still have three children to take care of. We have to do this. Hi Jeri – it really would not be appropriate for me to tell you whether or not it makes sense for you to stop paying your mortgage or not. A lot depends on the individuals circumstances along with who the lender is that holds the note. My advice would be to work with a qualified attorney who would best be able to guide you through your short sale. Hopefully, you are still answering questions relative to this article. I am considering a short sale… I am behind on payments. The loan is in my name… What do you think the chances of my husband writing a fair offer based on comps and with an approved loan? We want to remain in the home, but my income is a small fraction of what it used to be and with the lates, I couldn’t get a library card! With his income and credit, we could close a deal at market value… Have you ever heard of something like this happening? If so, what are some things I should absolutely do during this process or be concerned about? Hi Sabrina – The problem that you are potentially going to run into is the lender may not allow your husband to purchase the property based on relation. What you will want to do is get in touch with the lender and find out if they will allow to proceed given the fact it is your husband buying the home. I tried to sell my house for 3 years without success but then tried a short sale this year after my Mortgage officer told me “of course you can’t sell your home if you are trying to sell it for more than the houses are selling for in your area”. I submitted paperwork for a short sale and was current on my payments when my agent put the house on the market. I finally had a contract with a buyer and was denied by the PMI company because I was not late on my payments. My Mortgage officer said “when you are doing a short sale, you are saying you cannot make the payments”. I stopped making payments because I needed money to move since I was not getting a dime out of my house. After months of waiting on approval from Freddie Mac and the PMI company, the short sale was finally approved but the buyer cancelled at the last minute because they said they wanted us to pay closing and this was not approved and they did not have the money. I asked the bank if I could do a Deed in Lieu and they agreed and had me submit more paperwork and then said it was too late because my sale date for the house was too close. My credit report shows the late payments, then foreclosure, then bank adjustment/deed in lieu/bank liquidation. Can a mortgage company do a deed in Lieu without me signing any paperwork deeding the house back to them? Of course my excellent credit score has took a dive. They system is so messed up and we the people should be doing more to fight this! Thanks. Hi Michelle – It sounds like nobody was guiding your properly from the outset and your advice ended up coming too late. One thing I can’t figure out is how the buyer was able to cancel the sale? Didn’t you have a contract with them? If not this was a huge mistake. A bank can not do a Deed in Lieu without you agreeing to do so in writing. Bill, what happens to the tax lien that the feds have on a house that is sold and there is no equity in the house. This would be a good question for and attorney Skidawg but I believe a federal tax lien would take precedence over other liens. Bill, I have done both with clients, and like you said, always defer to the lawyers… thank you for the blog… I have learned so much from reading your information, and feel more confident in my own abilities because of your sharing. Thanks very much Chris! Short sales are challenging transactions to say the least. It is so important to have a pro in your corner! I am needing to move as soon as I can. My house has been up on the market as a short sale for about 6 months now. There have been only a handful of people looking at the house. I owe more than it is worth. I have not defaulted on my payments but I pay the mortgage at the end of the month rather than the beginning. I need to move 3 counties over and I will be renting there. What is the easiest and smartest way I can do this without a lot of damage on my credit score? Do I default on the loan as you were saying? I thought that would keep me from being able to get a place to rent? Keli – If your home has been on the market for six months and there are very few people looking at it my first piece of advice would be to lower the price! I can not give you legal advice on what you should or should not do. You should check with a qualified attorney who can advise you on the best move for your personal situation. My husband and I are thinking about doing a short sale. We have been trying to sell for 2-3 years with different real estate companies, but we owe 25k more than the house is worth. We don’t have any hardships, can afford the mortgage but we as a family have out grown the house plus the location is no good for children and I don’t feel safe there. I’m wondering if a short sale would be a good option for us? My husbands credit is good and I’d hate to see if get ruined and stop us from being able to purchase a new home, but we want to move so bad. What do you suggest? Betty – this is really a personal decision. Are you able to bring the difference to closing so you don’t have to do a short sale? If not then the question becomes whether or not your lender would even accept you doing a short sale as you don’t have a hardship. It is certainly possible but less likely under the circumstances you have described. No bill we would not be able to bring the difference. I don’t know any other option we have if we cant sell the house for what we owe. After reading all the above post, it sounds like in order for the bank to even agree on a short sale we would have to be behind in payments. If we took the risk of stopping mortgage payments and they accepted a short sale, could we move while its up for short sale and continue to not pay and pretty much be done with the house? Betty – is the loan a Fannie Mae or Freddie Mac Loan? As of November 2012 you no longer need to be in default if your investor is Fannie or Freddie in order to do a short sale. The question still remains whether or not you will be able to complete one without a hardship. What could potentially happen is they let you do the short sale but they have you sign a promissory note for the remaining balance. Often I find in Internet research that it’s a myth that you must stop making payments for a short sale. HOWEVER, in my case, I went through the “preapproval” process for short sale (proving hardship, etc. ), then my realtor received this from the specialist at the bank handling the process: Please inform homeowner of the delinquency requirement per the pre-foreclosure guidelines. Loan must be delinquent by more than 30 days at the time of closing in order to complete a short sale. Loans current at the time of closing will not be eligible for short sale and will be subsequently removed.” So essentially the homeowner must be delinquent in the event an offer does come through during the short sale process. Janie – There really are no across the board rules for short sales. Whether you should stop making mortgage payments depends on quite a few factors some of which are related to your own financial situation as well as the lender and/or investor you are working with. In some cases you need to stop making mortgage payments and in other cases that may not hold true. This is why it makes it really important to work with a professional in short sales who can give your proper advice and guidance.